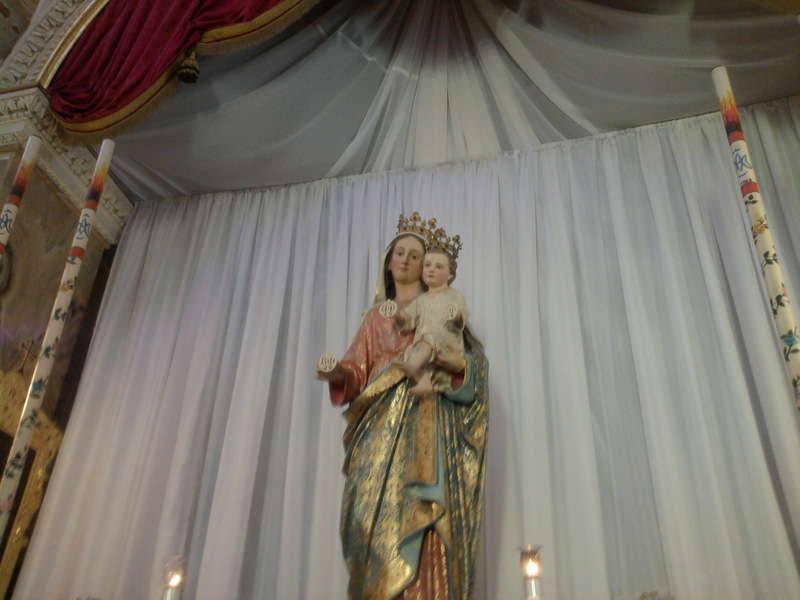 On Sunday 9th of September, the second Sunday of the month, the parish celebrated the Feast known as tal-Madonna tal-Ghazziela. This is connected with the liturgical memorial of the Holy Name of Mary that is celebrated every 12th of September. However in Zebbug we have the tradition of the ghazziela which is peculiar to our locality. The concelebrated Mass at 4. 30 pm was presided by Mgr. Dr. Joseph Sultana, Archpriest of Gharb who is also a lecturer in biblical studies at the Major Seminary. During his homily Mgr. Sultana preached about the significance of the name of Mary. The procession followed after the Mass, accompanied by the Santa Maria Band. The celebration ended with Benediction at 6.45 pm.